If you were to hear the words Orange County, New York, things that come to mind might be Woodbury Commons Outlets, apple picking, West Point or Orange County Choppers. What you may not think of is high caliber OCR training. Spartan Race Pro team member Kevin Donoghue is hoping to change that. A Spartan race participant since 2011. 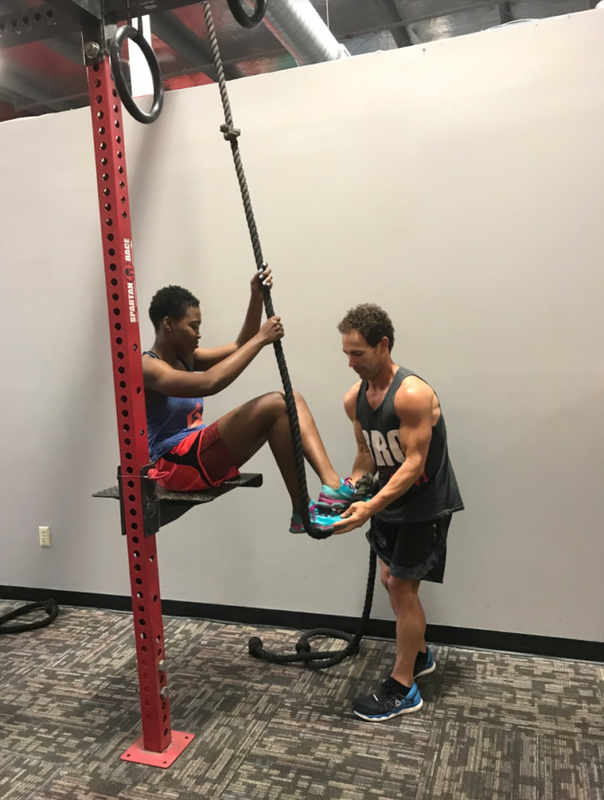 Kevin was born and raised in Monroe, New York and has decided to stay and bring his knowledge of all things OCR to a local gym. 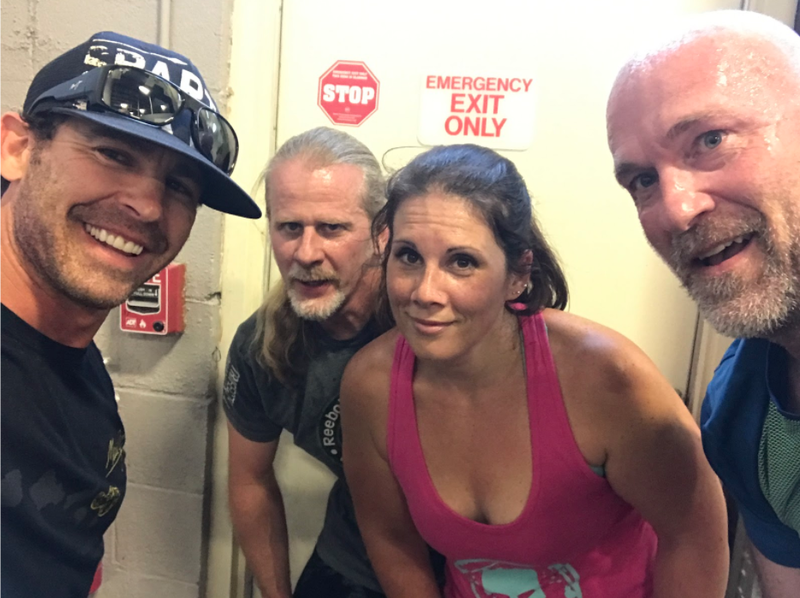 Taking a Spartan Race SGX class from someone with 80 podiums to date, the most of ANY Spartan and not having to travel to a big far away city is invaluable; though there are some people who travel over an hour for this opportunity. 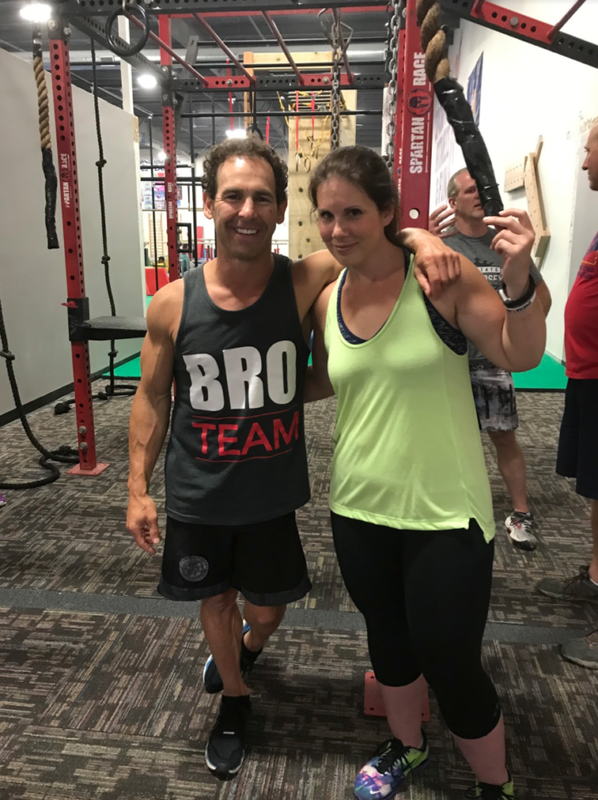 Kevin said, sure he could have offered this class in New York City or even the more popular Rockland County, but it was important to him to do what he loves where he lives. 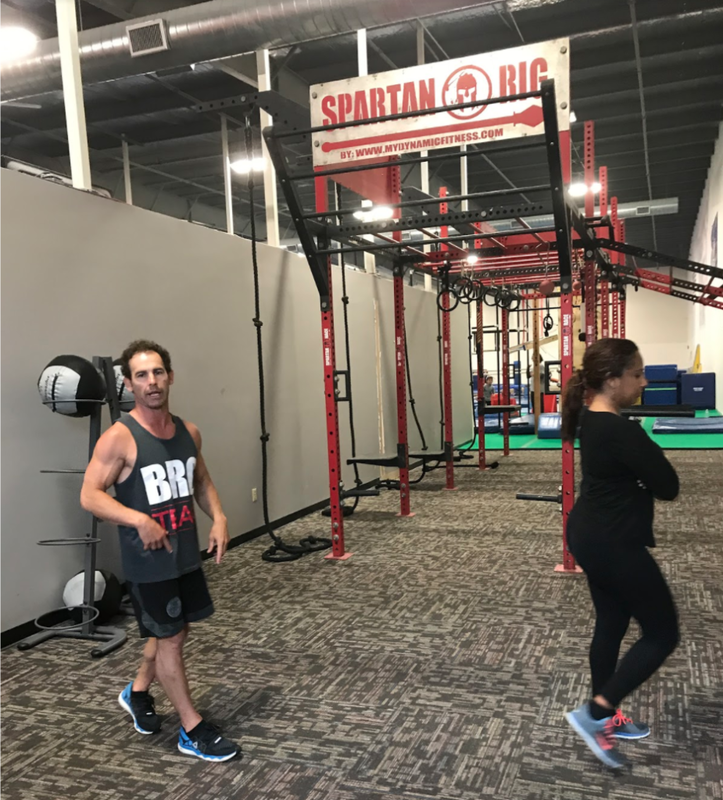 Kevin has done 119 Spartan races and has been on the Pro Team since 2013. If you watch Spartan Ultimate Team Challenge on NBC you will recognize him as a team captain for both seasons. Not only is it great getting one on one help from someone so knowledgeable, but hearing his stories is great fun too. Were you aware that the original Ultra Beast had a team option? Teams consisted of three people that had to stick together at all times. During this race, one person from each team had to carry a 26.2 lb ruck at all times. Or that the fire jump used to START a Spartan Race and elite men and women all started at the same time? He told me another great story about his first race which was the Tri State Spartan Sprint in Tuxedo, New York. He remembers Joe DeSena was there, and he mentioned off hand if anyone could beat Hobie Call he would give them $20,000 and if anyone stayed within one minute of his finish time they would get $2,000. Kevin said that even though he did not win any money that day he was pretty impressed with himself because Hobie only beat him by about 8.5 minutes. Then he found out Hobie took his time on the course and was high fiving people as he went by. So even though his finish time wasn’t as impressive as he first thought he signed up for two more races that year because he was hooked! Though as an Elite he always runs alone he says that his favorite OCR moment happened this year when he crossed the finish line on Ultimate Team Challenge. And now onto the class…which I love! It is held at Orange County Sports Club in Florida, New York which is exactly 15 minutes from my house! I have only had 6 sessions so far and already I can do vertical monkey bars and can stand on the rope. He gives us pointers on how to conquer the obstacles and how to keep up our energy on a course. I have learned the proper way to do a “race burpee” and how to hook my feet to get on the rope. Some things we do in class may not seem so obvious as to how they help us at a race but Kevin is always ready with an explanation. We were balancing on an exercise ball in a plank position and someone asked how this related to an obstacle and he told us it helped us stay low during the barbed wire crawl.Walking around the building carrying 20lb medicine balls over our heads will help us with ball slams at a stadium race. There is a huge rig set up which also has ropes and he has plans to put in a z wall. We have done bucket carries and deadlifts to help us with the new tire flip. So far I have met people who have done many races and people who are preparing for their first. There is even a mother/daughter team who are going to Hawaii for the trifecta weekend. 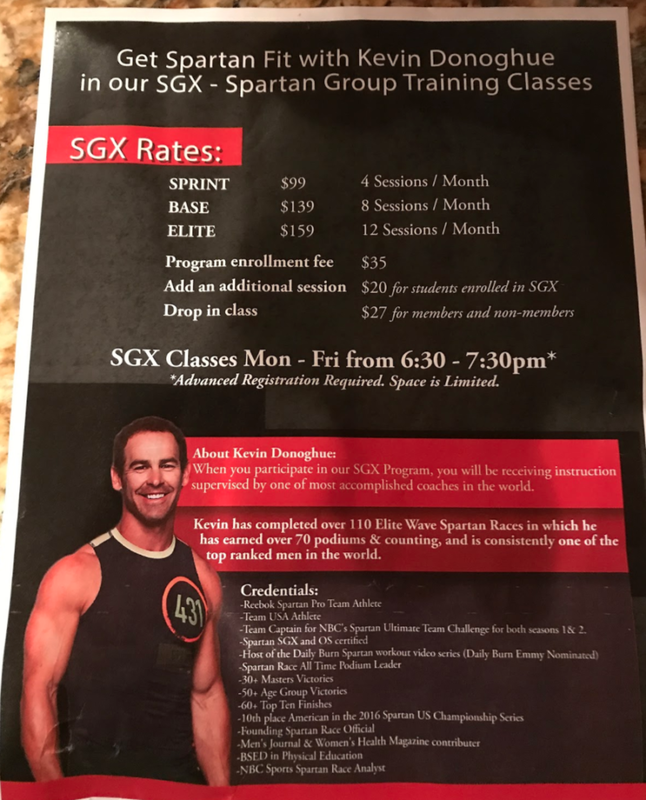 This class is great for all levels because Kevin tailors the workouts to your level. I can’t do regular monkey bars so he has me hang for as long as I can and then slowly start to lift one hand at a time. For the people who can do them, he gives harder challenges. Same thing with the rope. I get to practice pulling myself up to a platform next to the rope and those who can climb the whole thing. This particular class is offered 5 days a week and each session is an hour. Kevin is so awesome he will even show up early to help you work on a particular skill you may need help with. I am already feeling stronger and more confident on certain obstacles and I see an improvement at each race I’ve done since starting. I highly recommend this class to anyone in the NY,NJ,CT area. If you can get there….I suggest you do! Great article, Tara. Definitely reeled me in. I totally want to sign up. I wish it was closer to me but it sounds well worth the travel. I love that he tailors your session around your ability level. I have some obstacles mastered but others I totally need instruction and work on. Looking forward to your next article.